The love of a dog and a kitty…. It’s easy like Sunday morning. 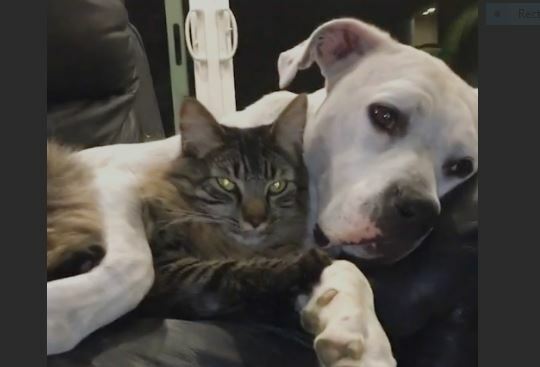 It’s easy listening AND easy cuddling time for this dog-and-cat love match. Looks as if they want to lie together on this sofa forever! These Silly German Shepherds Just Want to Brighten Your Day!